We have another new card in our Etsy shop. 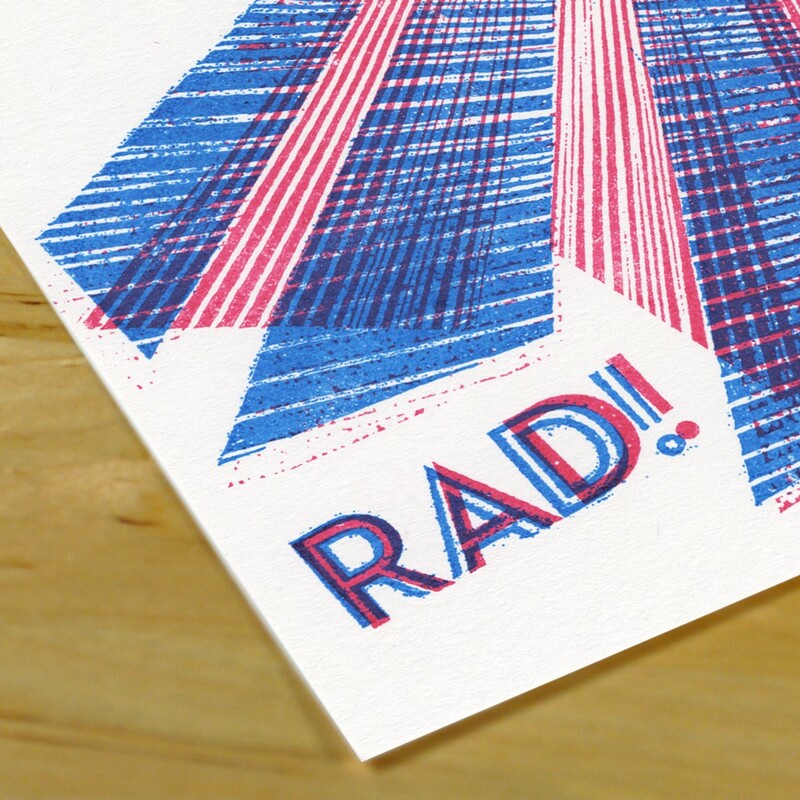 We’re pretty psyched about this card and had a lot of fun experimenting with the Gocco process inks. 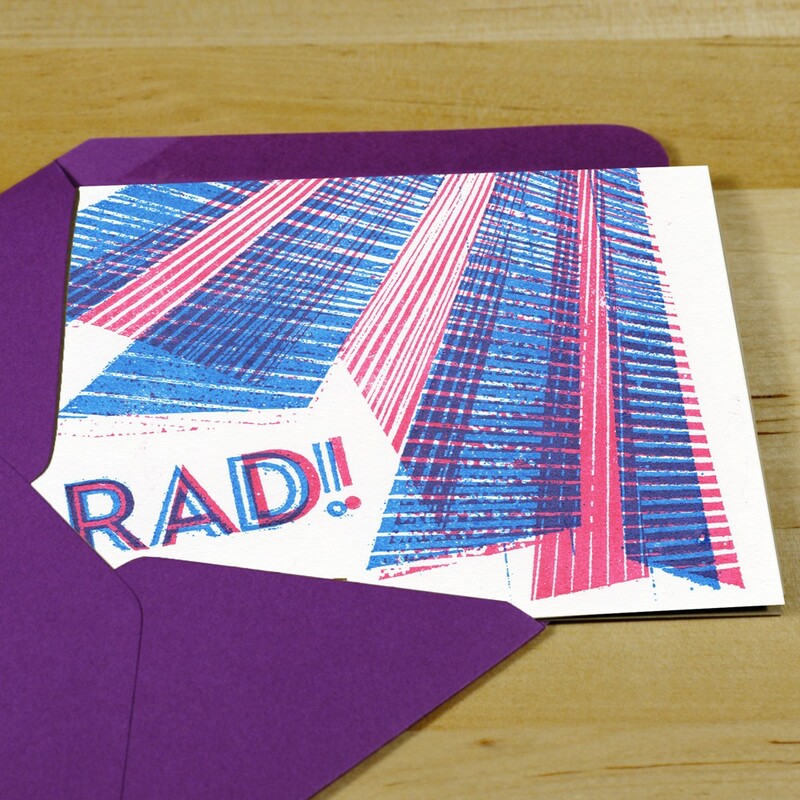 We think that the combination of process colors and xerox-y reticulation make this card perfect for the design geek, 80s punk, zinester, electroclasher or grandmother in your life.